Did you add or remove an item or two? Does your school year typically go longer or shorter than the standard 36 weeks? Do you just want an easy way to print out a weekly checklist? Create an account. Then log in and click on the grade you're scheduling. Redeem your registration code (free with the purchase of any guide or kit). Then, visit your dashboard and select a grade to schedule. 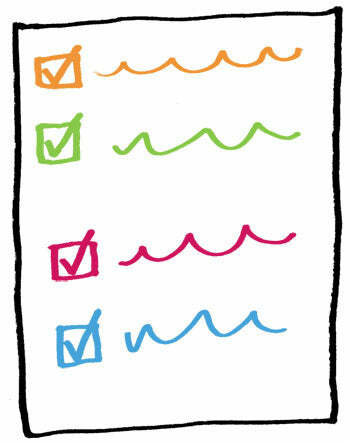 Check off the items you want to include in your child's weekly checklist and add any extras you're doing this year. Click Schedule and get your own PDF, customized for your school year.